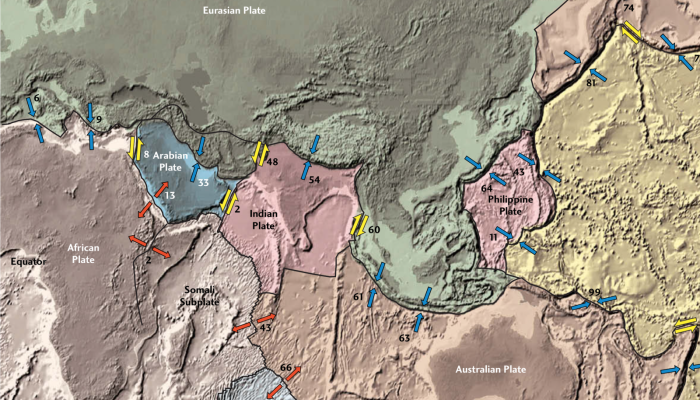 These bi-weekly blogs present interviews with outstanding scientists that bloomed and shape the theory that revolutionised Earth Sciences — Plate Tectonics. Stay tuned to learn from their experience, to discover the pieces of advice they share, to find out where the newest challenges lie, and much more! 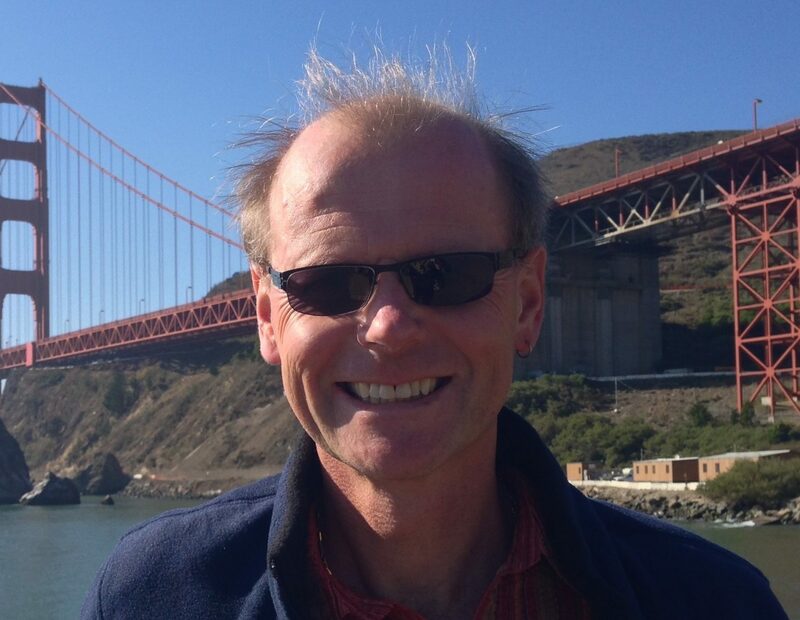 Roland Bürgmann is Professor of Geophysics at the University of California, Berkeley. He has been teaching and doing research in Berkeley for around 20 years. He started studying Geology in Germany (Universität Tübingen) and then continued his studies in the US, obtaining his PhD in Geomechanics and Crustal Deformation from Stanford University. After being active for several decades in your field, where is your main research interest currently? How would you describe your approach and methods? My current research is on active tectonics. Really the idea is to study deformation processes in the Earth related to fault systems and the earthquake cycle, but also all kinds of systems that produce active deformation like volcanoes, landslides, or land subsidence. We study those especially with geodetic tools, and also with seismology and field observations. So, I don’t tie myself to any particular observational technique, I’m really just interested in better understanding the kinematics and dynamics of deformation processes of all kinds in the Earth. What would you say is your favourite aspect of your research? Research really means being able to work with people. Research is not a solitary thing, a lot of it is about thinking of problems and trying to solve them. Not by yourself, but by having the opportunity to work with students and postdocs. That really enriches research immensely. I see this as one of the most enjoyable and valuable aspects of academic research. Why is your research relevant? What are the possible real-world applications? I guess with what we do it is relatively easy to point out real-world applications because we address natural hazards. Earthquakes, volcanoes, landslides… everybody is somewhat worried about those. On the other hand, we have to admit that often the research we do is not going to directly impact or save lives. My wife is a cancer surgeon and she might have improved or even saved a life or two every week. 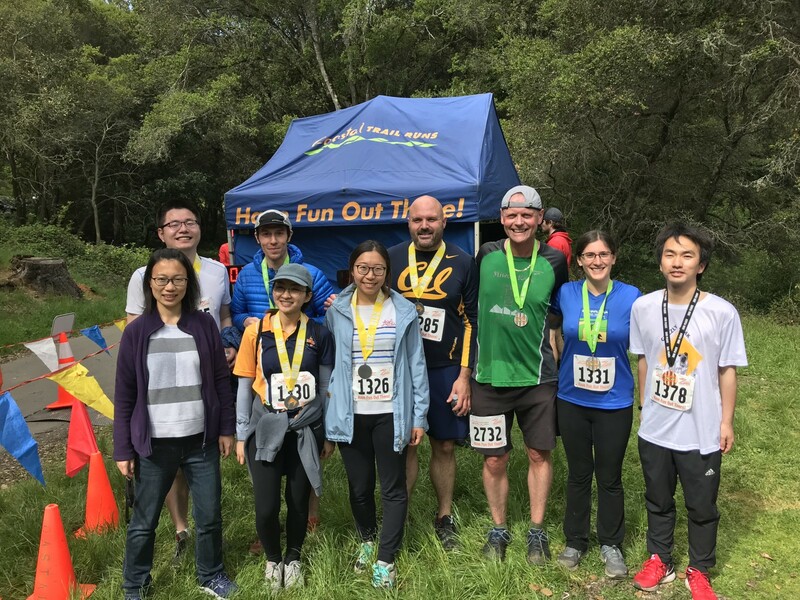 For us, it is much more like we are pushing on a research problem, and we do see the long-term relevance when it comes to ultimately being able to mitigate and better understand earthquake hazards and some of these other hazardous processes. What do you consider to be your biggest academic achievement? Bürgmann, Hilley, Ferretti, & Novali (2006). 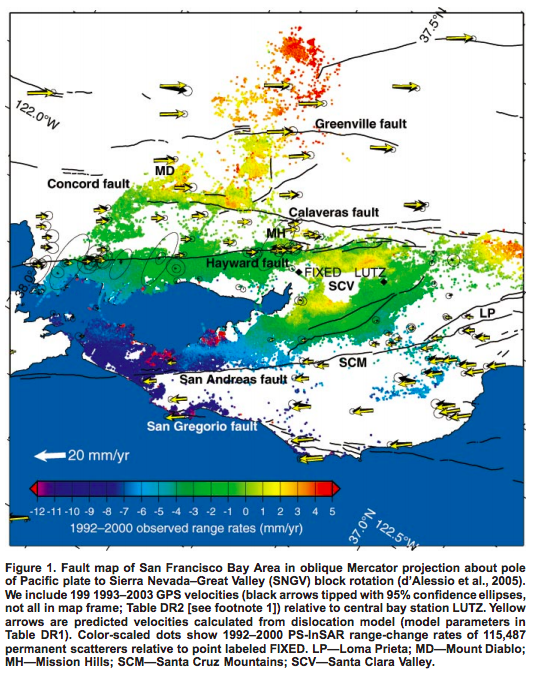 Resolving vertical tectonics in the San Francisco Bay Area from permanent scatterer InSAR and GPS analysis. Geology, 34(3), 221. My biggest academic achievement, I’m sure is still to come (laughs). That’s a tough question… you couldn’t really say, well this is “the one” finding or study that is the most important one… I think overall the work I’ve done that relates to better understanding the whole earthquake cycle; we’ve done a lot of work on postseismic deformation, fault slip, stress interactions, rheology… but it’s all incremental. I don’t feel like we have made “this one” discovery that people would always associate with me. What would you say is the main problem that you solved during your most recent project? One of my most recent projects is related to landslide physics. We use InSAR to study the landslide deformation, and rely on precipitation records and pore-pressure diffusion models to calculate what the fluid pressure is in the landslides. We can quite directly relate that and explain the time lag between precipitation and landsliding. I think that this is a useful contribution. In a paper that we are about to publish, we were able to do that in the years prior to a landslide that then failed catastrophically. So there the hope is that this will actually allow us to understand what is it that gets a landslide over the brink. Landslides can keep moving steadily over the years, decade for decade, but what is it that makes one fail catastrophically? So this study, we hope can help to contribute to better understanding that. Looking back, what would you change to improve how science in your field is done today? Something that we are doing already, which I think is really important and we should do more of, are truly interdisciplinary studies. 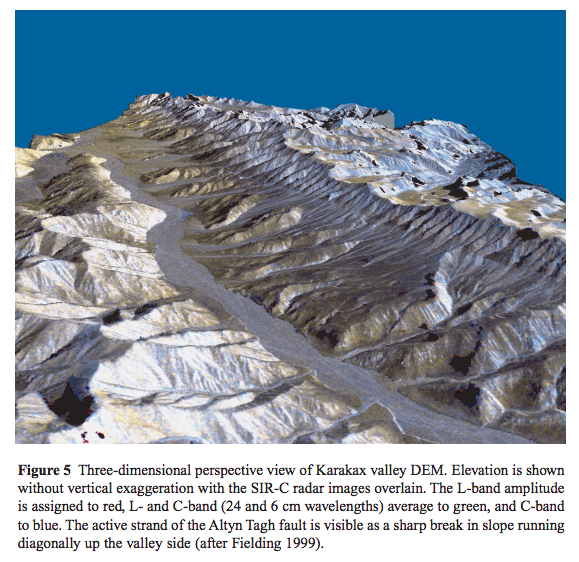 I’m a strong believer in that, and I do think that geomorphologists need to talk to geophysicists, and to the modellers … Ideally, all of us should know enough about these other fields so that we can really optimize how we can see the whole system. I do think there is much more left to be done when it comes to that. Allowing us to speak the same language and joining forces when it comes to really understanding how the Earth works, not to limit oneself to just one problem, one process, and therefore one approach to understand it. After all the time you have spent in science, you have seen some questions answered and more questions raised. What are the biggest challenges right now in your field? Bürgmann, Rosen & Fielding (2000). Synthetic Aperture Radar Interferometry to Measure Earth’s Surface Topography and Its Deformation. Annual Review of Earth and Planetary Sciences, 28(1), 169–209. Scientifically, we like to understand what we study in the simplest possible way. We try not to “over-model” what we observe, really just trying to get at the key underlying processes and principles. On the other hand, we got so much data now from all kinds of observational systems that seem to be trying to tell us much more. This suggests we should be upscaling the model complexity, and try to understand multiple processes at the same time. That is both exciting and seems dangerous. Whenever I see climate scientists with their models that incorporate hundreds of different processes, everything from turbulence in the atmosphere to particles in the air and many other things, that just seems scary and something that you would not want to do with what we study in geophysics. But I do see the need that we have to make our models and ways of understanding the Earth more complicated. Doing that consciously but well, that’s a big challenge. What were your motivating grounds, starting as an Early Career Researcher? The biggest influences ultimately are people. It was highly enthusiastic role models that made me get really excited about what I’m doing and made me change my career path. I wanted to study other things in my freshman year when I started studying geology. Over the years, I got to work with enthusiastic and inspiring mentors that made all the difference. Ultimately we are social animals and it does make a huge difference to have those kinds of influences in your early career. So you always saw yourself staying in academia? I wasn’t sure. I definitely considered alternative career paths. I meant to do an industry internship, which ended up not working out because I ended up working at the US Geological Survey that summer instead. I think I kind of knew I wanted to be in academia, but you really don’t know. You don’t know if you are good enough. We all have our insecurities and everything that comes with that, from impostor syndrome to what not. But it certainly always felt natural to me. The key indication that you are doing the right thing is that you love what you’re doing. Following to what you just exposed, is there any other advice would you give to Early Career Students? When it comes to giving advice, I always say, research in academia is the best possible job. Period. But only if you enjoy doing that. If research stresses you beyond normal stress levels, if it does not give you true pleasure, then maybe it is not the right thing. I totally appreciate how that is not necessarily true for everybody. Maybe you are meant for a more structured environment, where you don’t have to make up your days’ work on your own, every day. But if you are happy with that, it really is the greatest thing in the world. It does not feel like a job.